Stratosphere is a shaded star design. 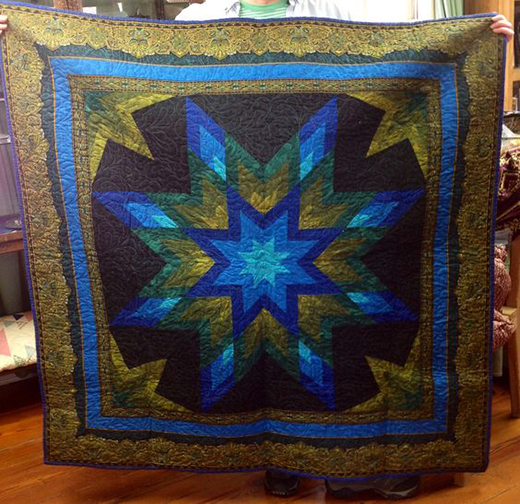 The dark background emphasizes the blues and greens of the quilt. The partial stars in the corners enhance the overall design of the quilt. Construction of the quilt top will focus on several quilting techniques - strip piecing, template cutting, foundation piecing, joining an 8-pointed star and set in seams.